Let ChartRequest Make that Process Secure and Efficient. From MRIs to mammograms, imaging centers receive a boatload of inbound records requests—from patients and providers alike. However, the release of medical records is often fraught with inefficiency. From mailed records to endlessly ringing phones, exchanging health information can drain your administrative resources. With ChartRequest, you’ll reduce operational waste in a secure, compliant manner..
Digitally release medical records and track their progress—no phone calls, fax machines, or postal packages required. 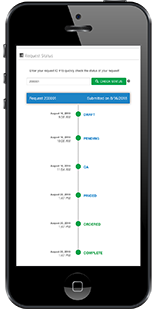 With ChartRequest’s streamlined workflows, you’ll expedite accurate reimbursement. You’ll also reduce the administrative costs incurred from requesters demanding status updates. 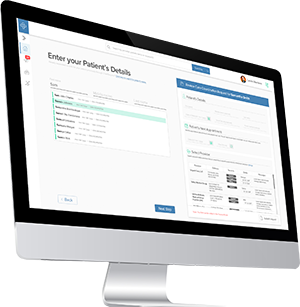 When patients or legal firms inquire about records, simply redirect them to real-time updates in the ChartRequest platform. 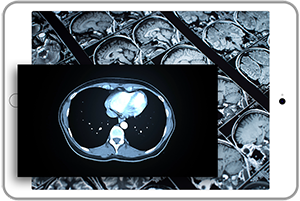 As an imaging center, perhaps you lack the vast IT resources of a hospital, IDN, or other large organization. The good news is, while ChartRequest integrates with many EMR systems, the only IT support required for implementation is access to your systems. Don’t let outdated modes of releasing medical records create unauthorized disclosures. With ChartRequest, you can safely share medical information from our HIPAA-compliant platform. 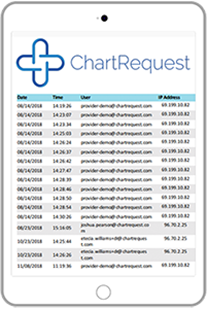 And—for any request—you’ll have access to a digital audit trail that displays the date, time, users, IP addresses, and actions associated with the request. 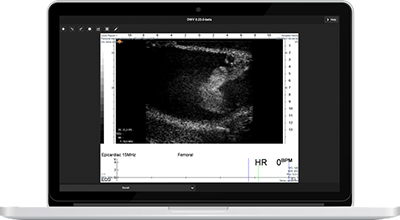 As an imaging center, DICOM image support is crucial for the release of health information. ChartRequest supports a clinical-grade format, eliminating the need to burn and mail CDs and DVDs with sensitive information. Streamline the Release of Information Workflow.